Everybody gets excited when a new brewery opens up in town. I get excited when, on my way to a biz portrait assignment about the brewery, I see really nice light on a really cool building… which happens to be where the brewery is. © 2011 by The York Daily Record/Sunday News. 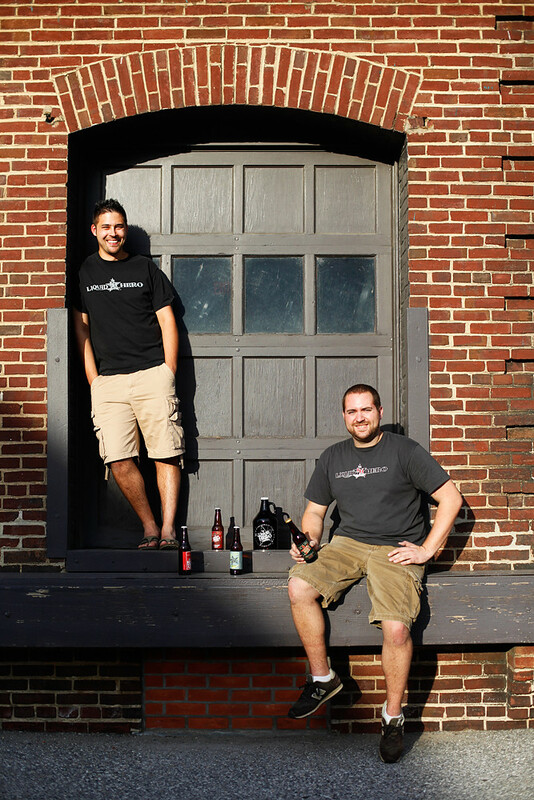 (Left to right) Matt DePrato and Joshua Hoke pose for a portrait outside of Liquid Hero Brewery on Wednesday, Aug. 31, 2011, in York. DePrato, Hoke and friend Christian Quinlivan have founded Liquid Hero Brewery, which they plan to open to the public in October, with two brews on tap and several more thereafter. The brewery, located on East North Street across from Sovereign Bank Stadium, will sell growlers to-go and kegs to local businesses, as well as souvenir mugs, pints and T-shirts. DePrato and Hoke say White Rose Bar & Grill will probably debut the brewery's first pour, its American Ale.